Looking over the bustling intersection of Rush and State, 20 E. Cedar condos for sale sit at the heart of Chicago's hottest nightlife. And with the lake just a block to the east, the daytime living at this dog-friendly Gold Coast building is just as exciting. Beautiful designer condominiums lie behind a classic brick exterior at one of the most walkable spots in the city. This handsome Gold Coast building is an example of some of the finest Chicago architecture of the early 20th century. 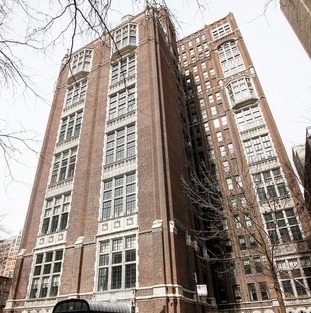 Built in 1929, 20 E. Cedar has since been updated to include all the amenities of luxury Gold Coast living. Residents of these dog-friendly condos enjoy a modern fitness center, sundeck, grill-equipped patio and 24-hour door service.